The Las Vegas Convention Center was the setting for the 24th Annual Shooting, Hunting and Outdoor Trade show this year, and having nothing better to do I decided to go! This year was somewhat muted I thought, because of all the hassle at the airports attendance appeared to me to be slightly down, although according to their press release there were a lot of people who showed up on the last day when I wasn’t there and apparently it was the second most attended show in history (so what do I know). I also thought there were less new products than average, but there were still enough doodads for me to write about. It was worth going and you, the lucky reader, get to live vicariously through me! This isn’t going to be as long-winded as the article I wrote in 1999, I’m just going to cover the things I saw that caught my eye. First up was Beamhit, a company I am constantly impressed by, they have developed a system whereby you put a laser in the barrel of your gun that goes off when it detects the vibration of the hammer or striker being fired. 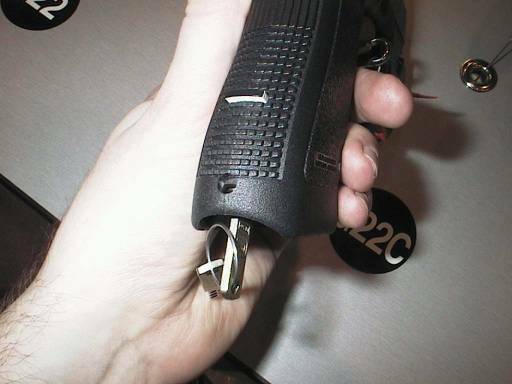 You point your gun at the screen of your PC, and the light is detected and registered on a target on the PC screen. Basically it makes dry-fire a lot more interesting, and moreover it works well and it is inexpensive. Highly recommended, every serious shooter should buy one in my opinion. Next was Benelli, best known for their shotguns although they do make pistols as well. Of interest to me was the M4 Super 90, recently adopted by the US Army and Marine Corps. 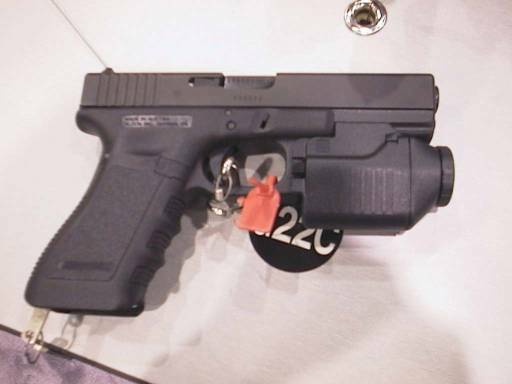 This uses a gas-assist mechanism to ensure the gun functions all the time. Although the inertia-operated M1 works pretty well in my experience, you do have problems with them when you add on gizmos as the gun becomes too heavy for the inertia system to work. 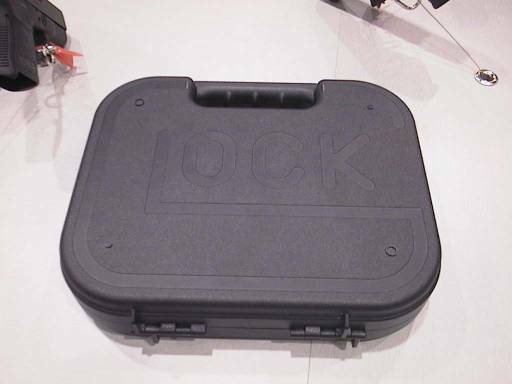 The M4 system is welcome and I was told that it would be available for police sales around July, with sales to the civilian market shortly thereafter. I was also told that versions with longer barrels (e.g. for IPSC) were a possibility, I hope so, I think an M4 Super 90 along the lines of the current practical model would be an excellent shotgun for Practical Shotgun competition. 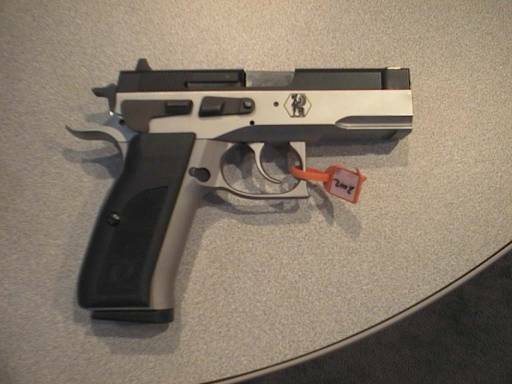 The gun is nickel-plated and has a single-action only mechanism and various other interesting details. Only 2,000 will be made. Not sure how it will compare with a 10/22, but anything to increase our choice of guns is welcome! 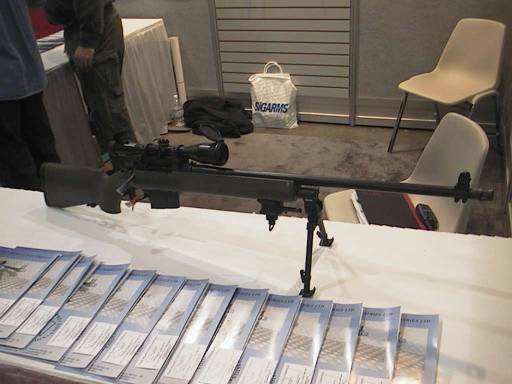 Bleiker is a company I hadn’t heard of before, but the 300m ISSF standard rifle on their stand was very impressive, if you’re in the market for a 300m rifle I suggest having a look at this one. I suppose I should have been paying more attention on the Browning stand, the only thing that caught my eye were their rifles chambered for the range of Winchester Short Magnums. Short magnums by the way were one of the trends at the show. I did notice another model of the Buckmark rifle. Bushmaster was one of a blizzard of companies making and selling AR-15s, I mention them only because I have been impressed by their Y-Comp, which seems to be one of the more effective muzzle brakes I have come across. Cavalry Arms is another maker of AR-15 parts with a neat product – one-piece injection-molded plastic lower receivers. Inexpensive and they seemed to work okay from the ones I handled on the stand. A neat touch was the replica box with the grease-proof paper. 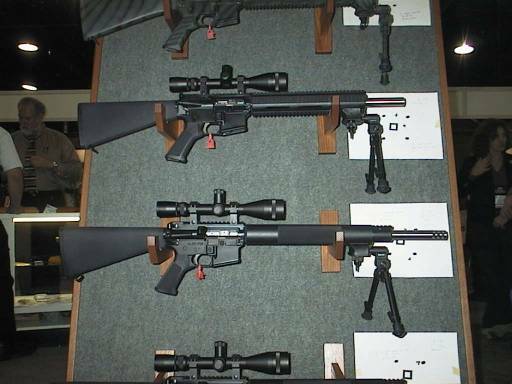 DPMS was another maker of AR-15s at the show. DPMS always impress me because they go to the effort of redesigning the rifle rather than simply knocking out endless obvious copies of the original Colt product. They are known for their side-cocking upper receivers for example, or the pump-action version. One variation that is in their new brochure is a single-shot version, which should be of serious interest to shooters in the UK because it is legal here. Essentially it is an AR-15 without a magazine well. If you are a shooter like me who does a lot of “load one, shoot one” with your AR-15, then this may be the gun for you because the gas-operated action means you don’t have to endlessly manually yank the bolt back as you do on the popular straight-pull variations of the AR-15 made for the UK market. Because it is single-shot only, it is not “self-loading” and is thus not prohibited under UK law. Eley had their EPS ammo on display, which is apparently the best .22 rimfire ammunition ever for target shooting. 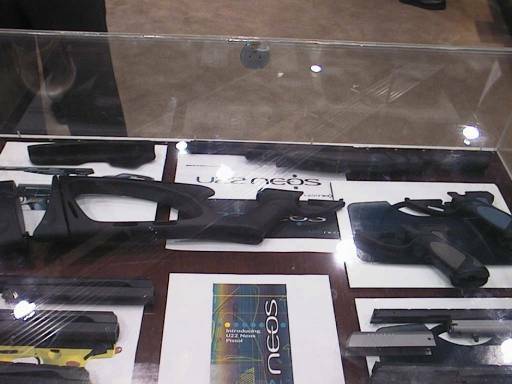 FN Herstal had lots of toys on their stand, albeit all banned from civilian possession. 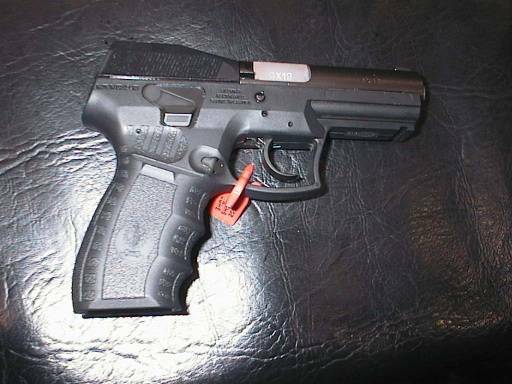 Included were the P90 personal defence weapon and the Five seveN pistol, a new version with a single-action trigger was on display. I think I saw the F2000 assault rifle there too, although it might just be my imagination from looking through the brochure. The problem with these guns is that the F2000 is about 15 years too late, as all major armies have re-equipped with 5.56mm rifles. The P90 is a clever gizmo, but although the 5.7x28mm can penetrate 48 layers of kevlar the actual terminal ballistics in gelatin aren’t all that impressive, akin to a .22 rimfire magnum. They have however hit paydirt with their “less lethal” gun, which fires hard plastic bullets with a muzzle energy of about 40 ft/lb and it’s powered by a bottle of compressed air. This has the serious advantage over a baton gun of having a rotary magazine, and the advantage over sprays and the taser of being usable at longer distances. I suspect they will sell heaps of them to the police. The key goes into the bottom of the grip, you turn it, the striker assembly is blocked and a white tab protrudes from the back of the grip. I had a moan at them about the finger-groove grips, which I don’t like, I prefer the old ones because my fingers don’t fit the grooves. I was told by the rep. I spoke to that it was a common complaint, so hopefully they will make models without the grooves at some point in the future. 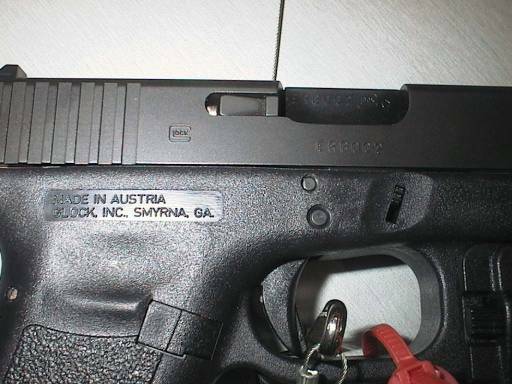 Heckler & Koch had the USP Elite, which isn’t all that new as it has been around in Europe for awhile. Yes, it’s nicer than an ordinary USP and I’m sure it’s accurate, but the trigger is made of plastic and is pretty spongy, and I can’t stand the lever magazine release. 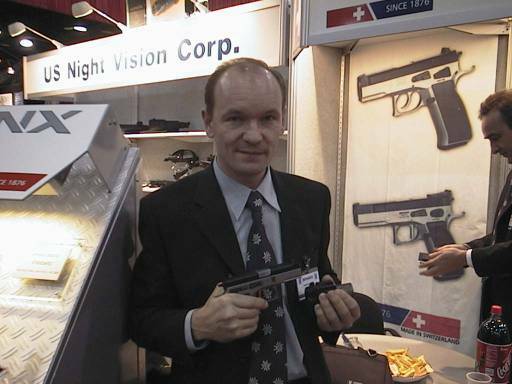 Insight Technology had an impressive array of gizmos, they apparently make the LAM for the SOCOM offensive pistol that H&K makes. I had a play with one on their stand, no doubt very expensive, it has a laser, light and an IR laser and can probably make a cup of coffee also. Probably very expensive but a clever piece of kit given how small it is. Kimber had lots of 1911s and their bolt-action .22 rifles. Someone import the rifles please, they’re very, very nice. Korth have risen from the dead. More of those round thingies. I didn’t see too many other stands with test targets next to their guns! It looks so odd that I’ll be surprised if it takes off in a big way, however Israel has a large enough domestic market for pistols that I suspect it will be at least marginally successful. Marlin had lots and lots of stuff that will be of great interest to shooters in GB. 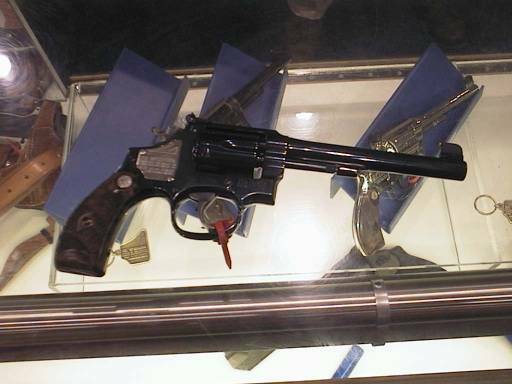 First is the “Cowboy Competition Carbine”, the 1894 in .38 Special with a 20-inch octagon barrel and 10-shot tube. Second is a stainless steel version of the 1894 in .44 Magnum, and third the model 795 .22 semi-auto is also now available in stainless steel. There are also new rifles in the new Hornady .17 Magnum Rimfire. I suspect the new versions of the 1894 (which is already one of the biggest selling rifles in Britain) will be extremely popular, now all we need is a stainless steel 1894 in .357 Magnum! Uncle Mike’s had a new range of Kydex holsters, not of much use to us but an interesting development in the holster world, as they are so inexpensive. PMC had two new products, they have a line of hunting ammo using Barnes XLC bullets, plus a range of “less lethal” shotgun ammunition, rubber buckshot and slugs. They also had a line of inexpensive shotgun loads, however I suspect they will not be that competitive with our domestic makers. 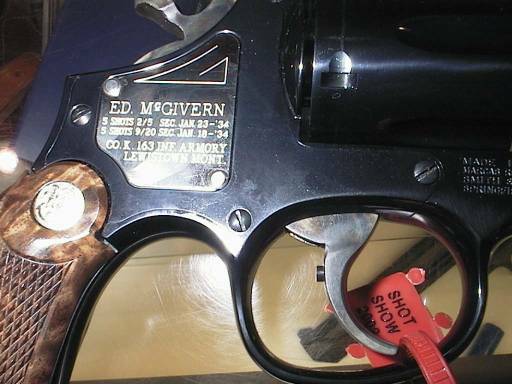 Remington had various bits and pieces, but the product of most interest was the model 700 with a titanium alloy receiver, which obviously makes the rifle lighter. 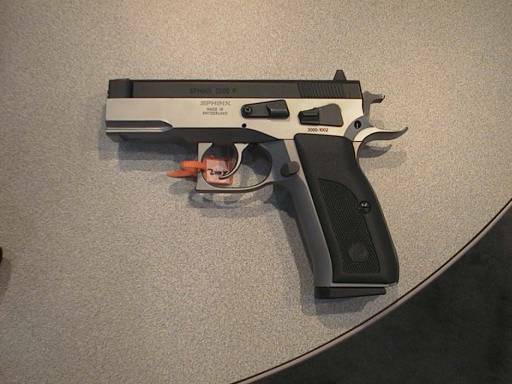 I’m not sure I agree with this trend to ever lighter guns as it means ever heavier recoil, but it’s a neat toy! Remington has their own range of short magnums called “Ultra Mag”, I suggest you go to their website for all the nitty gritty on them. They also have a range of non-toxic shotgun loads called “Hevi-Shot”, which is worth a look at if you’re a field shooter, this appears to be pretty clever, with the shot made from a combination of tungsten, nickel and iron. RUAG Munition had a small stand, but I had a look at their 6x47mm load for 300m ISSF, which is used by the World Champion. Very high quality as with all RUAG ammunition, I recommend you buy some if you get the opportunity. They’re also making their own AR-15 lowers in the UK, which is helpful and also have a personal defence weapon based on the AR-15 in development. 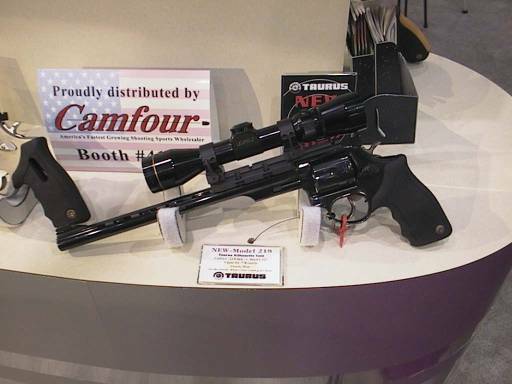 Savage Arms have a number of new models chambered for the Remington Ultra Mag cartridges. SIGARMS didn’t have anything spectacularly new, although they have started importing the P226 SL (stainless P226) into the US, and also the P226 Sport II SL is now available with a standard length 112mm barrel. 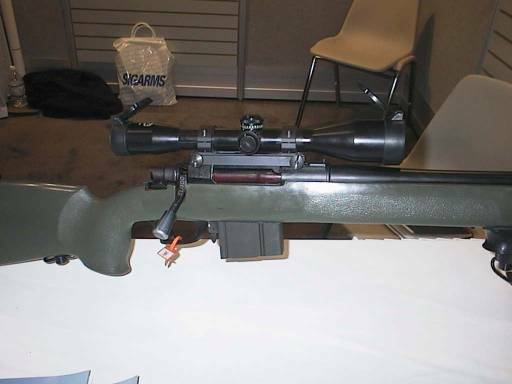 There were a huge variety of variations of the SSG3000 on the stand, but these models are unique to the US market apparently. 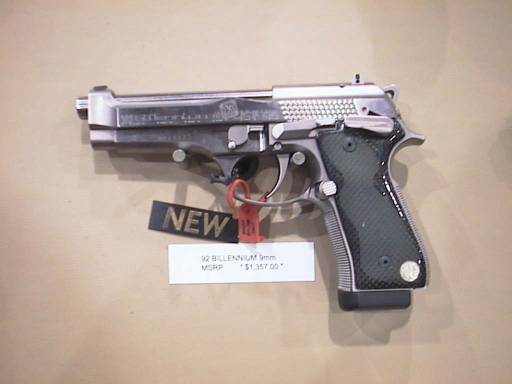 Smith & Wesson, now also the US importer for Walther, had a new range of guns called the “Heritage series”, which are recreations of some of S&W’s old standbys. None of them are entirely authentic to the original, although most of them are pretty close. Plus they’re new and you don’t have to worry about harming the value of the gun by shooting it. There’s a substantial number of models in the range such as the Model#3 Schofield revolver, Model 29 Hand Ejector, the Model 15 and the Model 1917. Note the four-screw sideplate. Shame we can’t own them in GB, but c’est la vie. 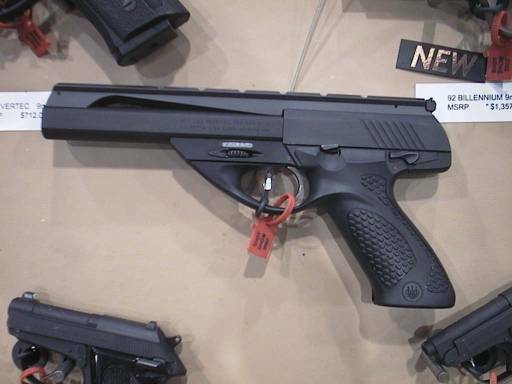 The model 952 target pistol is also being re-introduced, which is good news for target shooters in Europe. 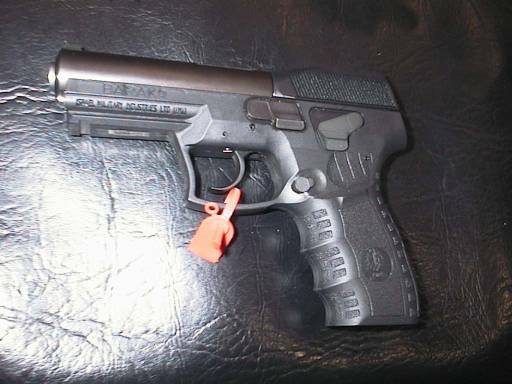 I have to say the trigger pull on the one I tried wasn’t that impressive, but the general idea of a target pistol in 9mm will sell well in Europe, I’m sure. Trigger pulls are after all what gunsmiths are for! You can see the target shooting model on the poster in the background. Steyr were noticeable by their absence. Apparently they have fallen out with their US importer, although a new one has been obtained. Steyr itself has moved premises and reportedly has some new management. This would seem to be the case as they will apparently make a straight-pull version of the AUG assault rifle for the civilian market later this year, something they have previously said repeatedly they would never do. Sturm, Ruger & Co., better known to you and I as “Ruger” introduced a new side-by-side shotgun called the Gold Label. I’m not much of a side-by-side enthusiast so I won’t embarrass myself with a critique, but it seemed well-made and Bill Ruger is a big shotgun enthusiast so I’ll assume for the time being it’s a nice gun! 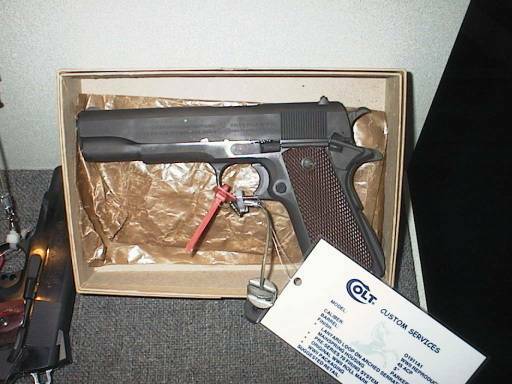 The main selling point of the gun is that it is a high-quality gun at a lower price, thanks to the manufacturing method. This will undoubtedly appeal to field shooters who have a tight budget, although I suspect the nostalgia of a hand-made gun will mean that London and Italian makers still have their market. The big news from Winchester of course was the expansion of the short magnum range to include the .270 WSM and the 7mm WSM in addition to the .300 WSM introduced last year. There is a range of model 70 rifles to accommodate them. The more interesting new product from my point of view I have to say was the old standby, the model 94 lever-action rifle chambered in .480 Ruger! I suspect this is a bit painful in terms of recoil but interesting nonetheless. I’m not sure there is any non-expanding ammunition in this calibre so target shooting with it legally in GB will be quite difficult, although I’m sure there is a handloading option. Also of interest is the 9410 lever-action shotgun, basically a model 94 chambered in .410. This was introduced last year although there was a new shorter model on display. The version with the 24″ barrel would be legal on a shotgun certificate in GB with the magazine permanently restricted to two rounds. Anyway it was a long walk as per usual, you get all the information from the comfort of your chair!